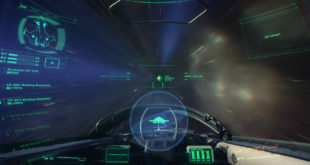 Cloud Imperium Games has for the first time shown off the first person shooter element of its in-development space epic Star Citizen. The video shows off four players securing a space station manned by hostiles. It all looks little ropey, but boss Chris Roberts promises that the CryEngine 3 based sections will be getting plenty of polish before release. There’s plenty of resource to throw behind it, too. The crowdfunded game currently stands at a record-breaking $60m+ and has in the region of 268 developers currently working on it. Last month the game’s first planetside gameplay was shown off.